Is Sony about to replace the Xperia Active? The successor to the outdoorsy Xperia Active has been leaked as the Sony Xperia Lotus. The Xperia Active didn't exactly set the world alight with its specifications, but still managed to notch 4 out of 5 in our in-depth review as it turned out to be a perfectly capable little phone for the money. Now it looks like Sony is set to reboot the handset with the Xperia Lotus, or Xperia ST27i/ST27a if you prefer, after details were leaked on its website. According to the leak, the Xperia Lotus will sport a 1GHz dual-core processor, touchscreen display with a 480x854 resolution and will run Android 2.3 Gingerbread. 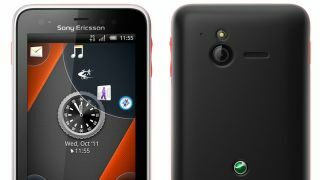 It would be disappointing to see the Xperia Lotus ship with Gingerbread, as the likes of the HTC One V and Desire C come with Ice Cream Sandwich – however, Blog of Mobile reckons ICS will be included. We hope the Xperia Lotus also has the water- and dust-proof qualities of its predecessor, but we will have to wait and see what comes of this rumour.